Do you travel often for work or leisure? Are you tired with the hassle of airport security delays? 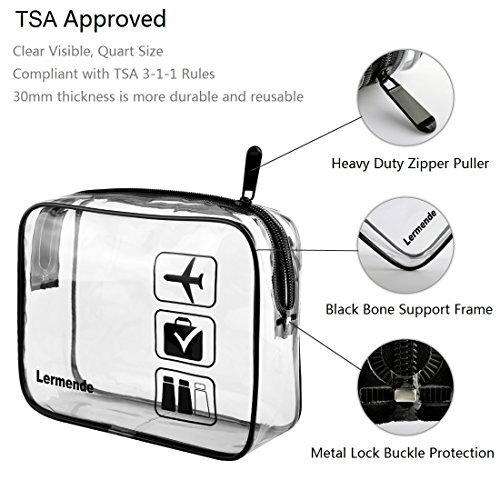 With our Lermende super-durable TSA Approved Clear Toiletry bag, make passing through security a pleasure, not a chore. Take it to the pool or beach, throw in a larger tote or travel bag & know your items are protected from moisture or sand! Easy to wipe clean. 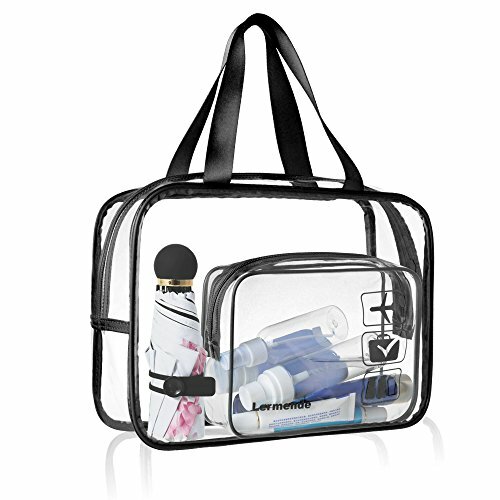 TSA Approved Toiletry Bag-(7.7*5.9*2.5 inches), complies with the 3-1-1 rule for TSA screening. Make pass through security a pleasure. 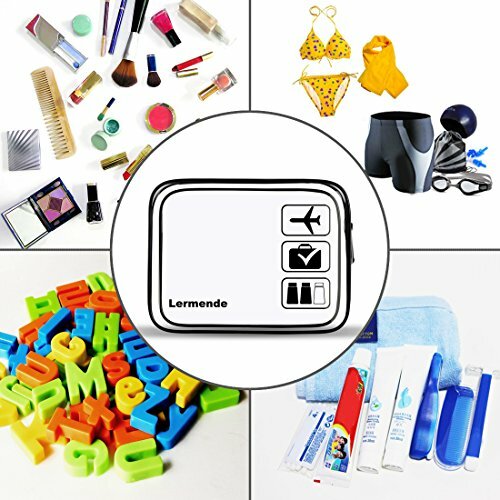 Safe to carry your cosmetics or toiletries in travel or to gym. Also design for men’ shaving kit, women’ beauty product, kids’ stationery. 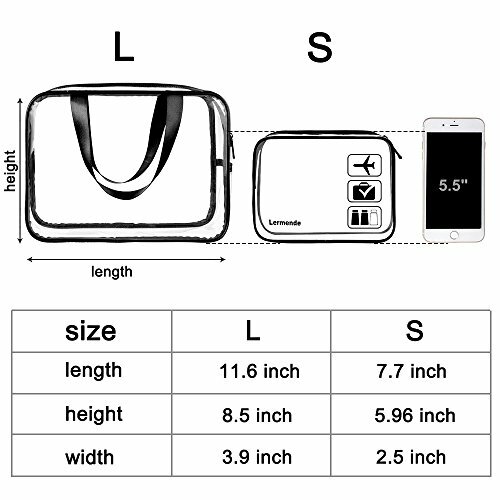 Large Clear Bag- (11.6*8.5*3.9 inches), more longer, more deeper. 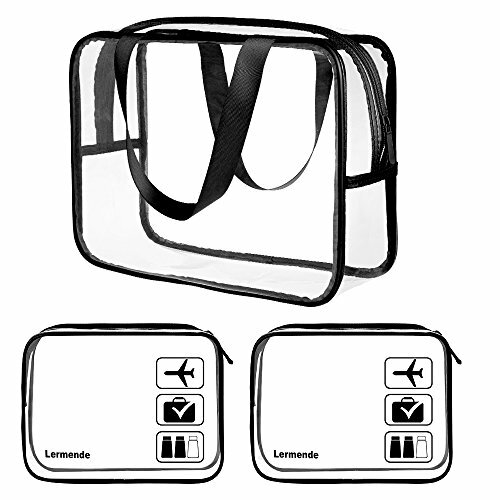 Great capacity for packing swimsuit, semi-wet towel, toy, baby product， sweaty sportswear or dirty clothes. Even your household storage for deodorants, medicines, USB/power cords, phone chargers or other groceries. – Made with waterproof clear material. Waterproof keep item dry inside. Clear but not so bright, high visibility make check and get items a breeze. Lightweight ease burden. Semi-supple and compressible, save your space when not use. – Detail-oriented Zipper. Sturdy zipper, zip up more smoothly. 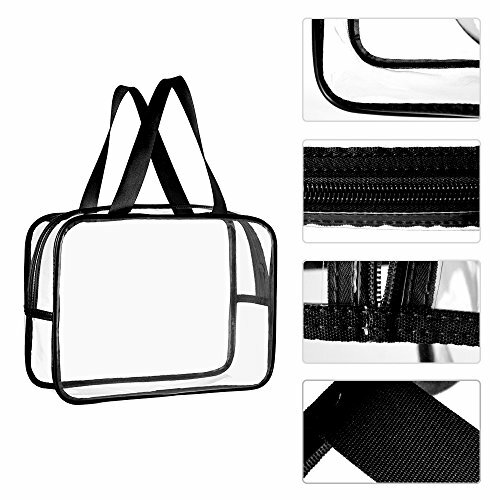 Large zipper opening, big zipper handle, easy pack and take. – Double fine stitching at both sides of the zipper to protect the zipper and make it more sturdy. – Suitable for all ages, men and women, as well as children, to meet the needs of their travel in the wash. The product is easy to clean and can be reused. 3. Keep away from high heat, wipe with damp cloth.TSA Approved – TSA approved clear toiletry bag strictly follow 3-1-1 regulations. Easy and quick to pass through airport security. 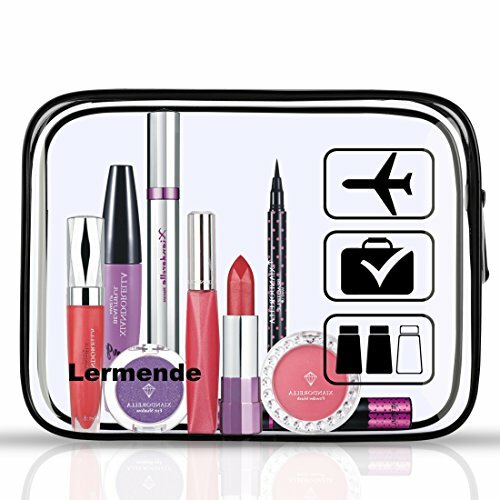 An ideal cosmetics makeup quart size toiletry bags for all ages.